The temperatures have dropped sharply, suddenly, leaving us scrambling to dig out those winter clothes, hats, coats, scarves. Apparently winter really will return, despite any amount of daydreaming; picturing an endless summer of sailboats, sunny, packed beaches, and lush green parks. This is Chicago. We all have selective memory when it comes to winter; it’s what allows us to keep living here, year after year, enduring frigid temps, icy streets and sidewalks, and blasting winds that seem straight from the arctic. But this turn in the weather, and the scarf wrapped around my neck both bring to mind a seasonal delight; The Christkindlmarket Chicago in Daley Plaza. Each year this German market appears like magic, complete with giant decorated Christmas tree, right before Thanksgiving. It’s completely outdoors, which is part of the holiday charm; you must bundle up with every layer you can fit on your body (and still be able to move) so that you can shuffle from booth to booth without losing an extremity to frostbite. But some of the most popular items are not gifts at all… the food vendors can have lines spanning the entire length of the plaza as people wait as patiently as possible, anticipating the radiating warmth of some authentic hot spiced wine which you can drink from a collectible glass boot. The strudel has a reputation all it’s own, with potato pancakes, crepes, and bratwurst are not far behind. The market is open daily, and you could visit during daylight hours, but the magic happens after dark. Go in the evening to experience the glow of the holiday lights, sip something delicious and get into the holiday spirit. But this is also the most popular time, so expect the market to be packed with people. You also will find street parking to be difficult, so book your spot online in advance and save the circling for when you are inside the market. 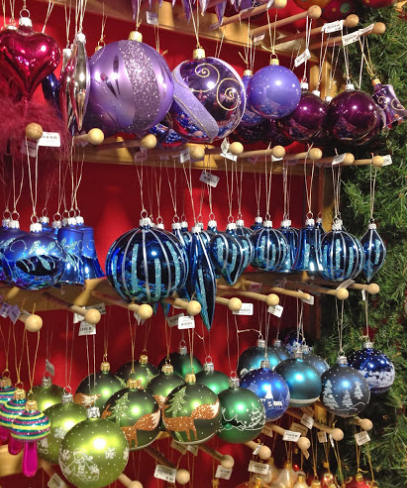 If you live in Chicago, the Christkindlmarket will most likely become part of your holiday tradition. So gather your friends, or family, bundle up and enjoy! The City of Chicago Department of Cultural Affairs and Special Events is proud to present the official start of the holiday season with the 99th Annual Christmas Tree Lighting Ceremony. 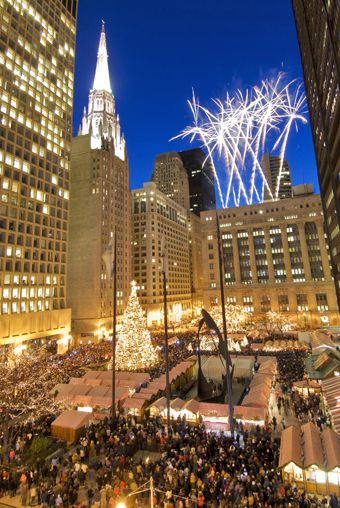 Musical performances and festive holiday music begin at 5:00pm and the holiday season officially commences at 6:00pm, when the switch is flipped and the lights begin to dazzle on Daley Plaza. www.explorechicago.org/specialevents. McDonald’s® Thanksgiving Parade | November 28, 8:00-11:00am. Come to State Street and see the 80th McDonald’s® Thanksgiving Parade in Chicago. Cheer to the Christkind, marching bands, Ronald McDonald®, Santa Claus and many more. The Parade starts at 8:00am on November 28 and is live on WGN. For more information, please visit www.chicagofestivals.org. The Chicago Marathon brings excitement and encouragement to the city each year. Runners. They are crazy. Who, in their right mind, would run 26.2 miles? Or even 5 miles? Not me. 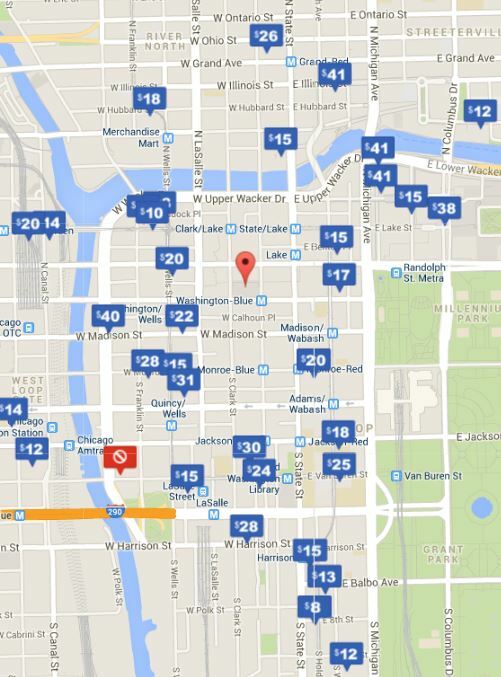 Then, in 2011, I had just moved downtown and learned that the Bank of America Chicago Marathon course would go right by my condo. I also live inside a course loop; meaning my building is surrounded by road closures for the entire race. I could walk somewhere, but running across the street, playing leapfrog with marathoners, just didn’t seem like a good idea. I was confined to my block for most of the day. So on the Chicago Marathon race day, I poured a cup of coffee and headed out to the corner to check out what all of the hoopla was about. The noise was astounding! Cheering, clapping, noise-makers, you name it. All these noises converged into one amazing, unending, happy, supportive sound. I was quite surprised. The energy of the spectators caught me off guard; they were so excited! They stood there for hours, cheering for strangers, waiting for the single friend or loved one they knew in the race, or sometimes knowing no one! But what was even more surprising to me was the energy of the runners. My location (beside Union Station) was right at the halfway point – 13.1 miles down, 13.1 miles to go. I figured this was a ‘glass half full/glass half empty’ situation, and as a non-runner, I simply assumed that everyone in the race would be scowling, maybe even swearing, at the 13.1 miles-to-go indicator. But they weren’t. The vast majority of runners were smiling. Smiling? Smiling! The sweetest thing I witnessed was the widened eyes and giant smiles as runners spotted their loved ones on the side lines, b-lining it to them, taking a moment to jump up and down in joy, hug, kiss, and then run off again. Little kids cheering on a running parent. It was so sweet. While watching the vast and varied field of runners pass me by for hours on end, I had a strange feeling come over me. Inspiration? To run? No way. Not me. Yes. Me. I started training for a 5k right away. I couldn’t even run half a mile at first. Tiny, 3 mile races lead to 5 miles, to 10 miles, to a half marathon. It was a major personal accomplishment for me! Sometimes I smiled, sometimes scowled, but I will never forget the energy of the race that inspired me to take that first step. 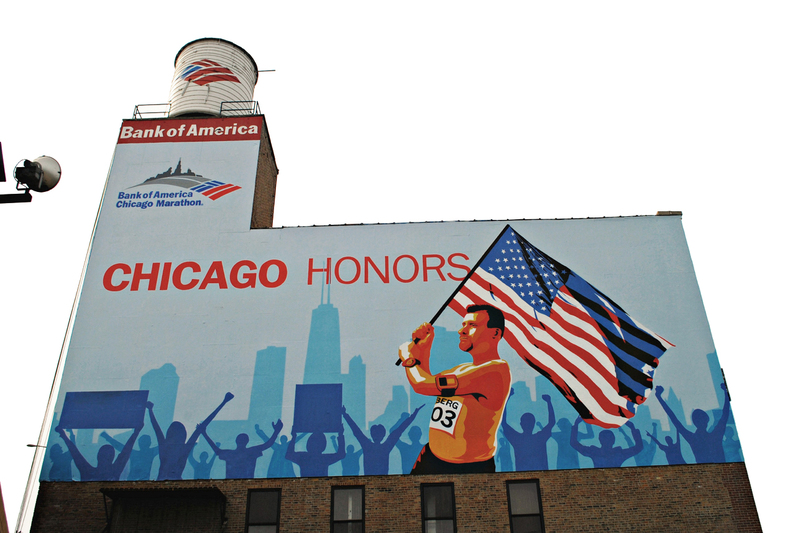 The Bank of America Chicago Marathon is a sight to be seen; a feeling to be felt; a true inspiration. Come as a spectator prepared to stand (or bring your chair) for many hours, holler until you lose your voice, clap until your hands hurt, and maybe be inspired, too. But also expect traffic and road closures. If you book your parking in advance, arrive early and set up your spot along the sidelines, you’ll have it made. Click here to book online… maybe you’ll be cheering me on someday!